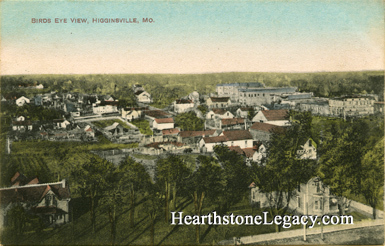 This vintage postcard view pictures a number of homes as well as the downtown business district at upper right. Published by Harvey Smith and printed in Germany. The postcard was postmarked in 1911.